1 YEAR REPLACEMENT PAID POSITION! APPLY BY JUNE 14! Browse: Home » 1 YEAR REPLACEMENT PAID POSITION! APPLY BY JUNE 14! The Guelph Resource Centre for Gender Empowerment and Diversity (GRCGED) is hiring a temporary position for 12 months. 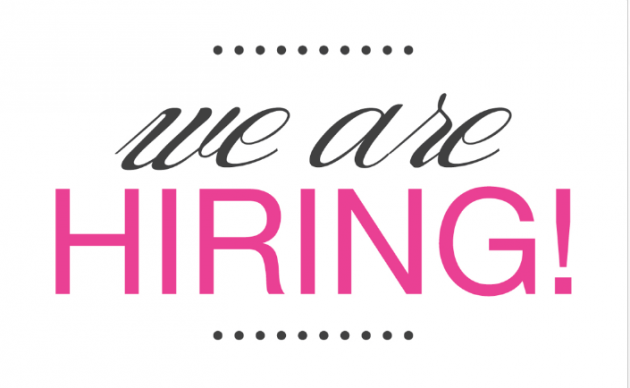 We are looking for a dynamic, pro-active, resourceful, feminist-minded person able to work independently and in collaboration with other staff members in organizing events, coordinating promotion and assisting in the organization of the centre. This is a unionized position with CUPE 1281. The Guelph Resource Centre for Gender Empowerment and Diversity GRCGED encourages members from oppressed communities, such as aboriginal people, immigrants, members of non-dominant ethnic, linguistic, religious and/or cultural groups, people of colour, people with disabilities, people living in poverty, queer people, refugees, single and sole-support parents, transgendered, transsexual and gender-queer people and working class people to apply and to identify as an employment equity candidate in their cover letter. Click to see our complete Employment Equity Policy. Ensure promotion occurs on and off campus through direct meetings, tabling at resource fairs, participation in community events, etc. Perform “Office Hour” tasks as needed when the centre is open, including helping resource centre users and providing confidential peer support to individuals accessing the centre over email, phone and in person during your office hours who are seeking resources and referrals on issues including but not limited to: issues of violence, mental health, physical health, sexual health, parents/childcare, housing, labour/job, academics, oppression, etc. by June 14 2016 at noon. Applications can be emailed to GRCGEDhiring@gmail.com or dropped off at UC 107, University of Guelph. Provide on-going grant writing support for projects related to GRCGED’s vision and basis of unity through individual support and workshops. Provide support as needed on such matters that are the responsibility of the collective, such as weekly payroll, benefits, filing taxes/T4s, source deductions, union dues, RoEs etc. Troubleshoot computer network and equipment problems, with consideration of warranties and per-paid tech-support plans, coordinate computer and network repairs as needed. Provide support and act as a resource to working groups, committees and special projects as needed, especially regarding finances, room bookings, policies, partnerships and other areas related to this job description. Ensure polices are updated and accessible within the center and on GRCGED website. Produce and make available promotional materials about the centre in general, specific events, programs and volunteer opportunities. Twice annually, work with the Volunteer and Resources Coordinator to organize open houses introducing people to GRCGED. Be in contact with similar resource centres in other areas. Coordinate GRCGED involvement in collaborative programming with campus and community organizations, especially those which are organized by and/or do work supporting oppressed communities. Work with the Organizational Coordinator to ensure good promotion of GRCGED events. Provide support and act as a resource to working groups, committees and special projects as needed, especially regarding room bookings, partnerships and other areas related to this job description. Present outreach information at volunteer meetings and ensure volunteers are informed of upcoming GRCGED events. Coordinate outreach training for volunteers in collaboration with the volunteer and resources coordinator such as public speaking and media relations.